We scour the Web for brilliant designs, revealing infographics, and exceptionally geeky stuff. And we’ll share our discoveries with you right here. Get ready to be entertained. Throwing more money at people isn’t always the best solution for keeping people happy! What Makes Responsive Web Design Tick? So how does responsive web design really work? What makes for a smart, effective responsive website? Just how much money are the people and companies behind these popular iOS games actually making? You might want to take a seat, because the numbers will shock you. Who Are The People Against Internet Freedom? Who are the people looking to stand against Internet freedom, and what are they looking to achieve? What’s Happening In The Google Labs? Surely you’ve heard of the Google Labs, it’s a place of imagination where some of the coolest possible products of the future are in the works. Who Is Tracking You Via Your Smartphone? Who is actually tracking your smartphone? What methods are they using to track you? Which Graphic Design Career Is Right For You? There’s a lot of different things you can do within the graphic design field, and the pay between them can vary wildly. How are you to decide? If things really went bad on the Internet, and we’re talking catastrophic failure, what would happen? Have you ever thought about who makes the apps you love? 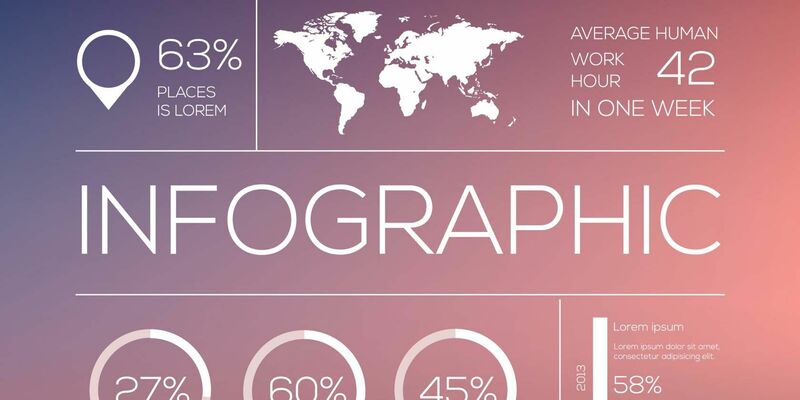 The infographic here will show you how to work from home while actually gaining productivity. It’s a win-win! Might you be sitting on a gold mine in your attic? When you think of your favorite superheroes, you probably imagine their awesome powers… What you probably don’t think about is their skin. Copyright is a big deal on the Internet, and it has a huge impact on everyone, whether you create content or just read the stuff produced by sites like MakeUseOf. What Does Your Workspace Say About You? Do you prefer to work in a plain space, or do you prefer to keep your desk full? Turns out, what you have on and around your workspace can say a lot about you. How Does Facebook Hurt Or Help You And Your Relationships? Love it or hate it, Facebook is here to stay. Almost everyone you know probably uses the social network, and it’s hard to stay away from it. At some point in your life, you’ve probably sat down and played a card game. The moonwalk is easily one of the most iconic dance moves. Where Might We Be Going In The Far Future? Do you sit back and wonder about the future? No, I am not talking about where you’ll be in ten years, I’ talking about where humanity might be in a million years or more. How Much Do You Know About Emoji? Emojis are a complicated beast. They allow us to show our thoughts and emotions in ways that words just cannot. How Does Mining Diamonds In Minecraft Compare To Real Life? Ask any Minecraft player, even a newer player, and they’ll tell you that mining diamonds is where it’s at. Is An Open Office Really Better Than A Closed One? An open floor plan is a big change. You might be wondering if going with an open office is actually beneficial, or if it’s just a bunch of fluff. Have you ever decided that you wanted to play a video game, but couldn’t decide which one to play? Well, deciding is about to get a whole lot easier.